Legendary bounty hunter Rance Savage is dying of pneumonia. As luck would have it, he is discovered by two brothers, Will and Josh Kincaid, and brought into town to be cared for by Doc Harper. Once he’s recovering, Savage plays on young Josh Kincaid’s starstruck admiration for him by giving him his first real taste of manhood. But when Savage kills a man, he’s put under lock and key—unfairly—to young Josh Kincaid’s way of thinking. 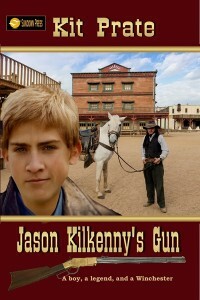 To make matters worse, it’s Josh’s own uncle, Jake Kincaid, who is responsible for bringing the bounty man down. Josh has a skewed view of who the real Rance Savage is—and he’s determined to help him get free—no matter the cost. In a deadly twist of fate, Savage finally is in the position of power he’s been seeking for twenty years—to kill the man he blames for making him a cripple. A chance discovery of a long-hidden rifle is the catalyst that brings freedom from a terrible secret—and death in its wake. 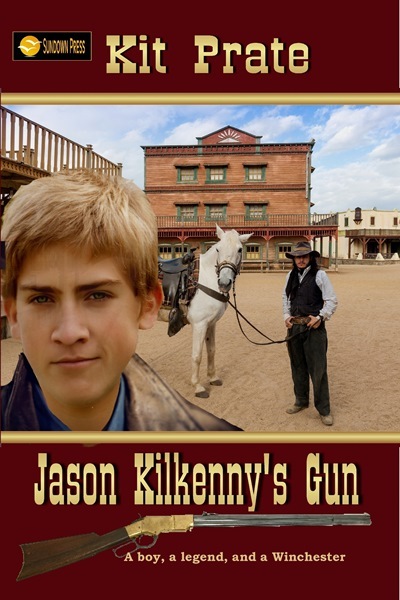 How many lives will JASON KILKENNY’S GUN destroy?